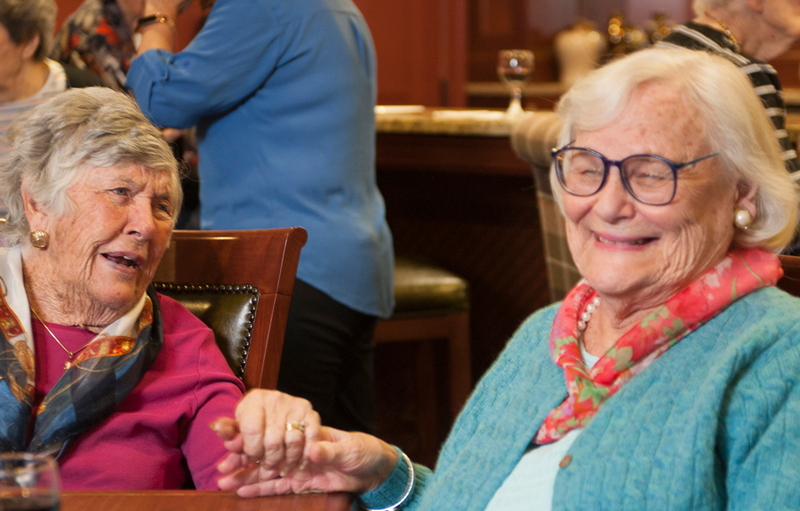 Living in a vibrant senior living community means being able to have a good time. Having a space to unwind, relax, and chat with friends and neighbors. 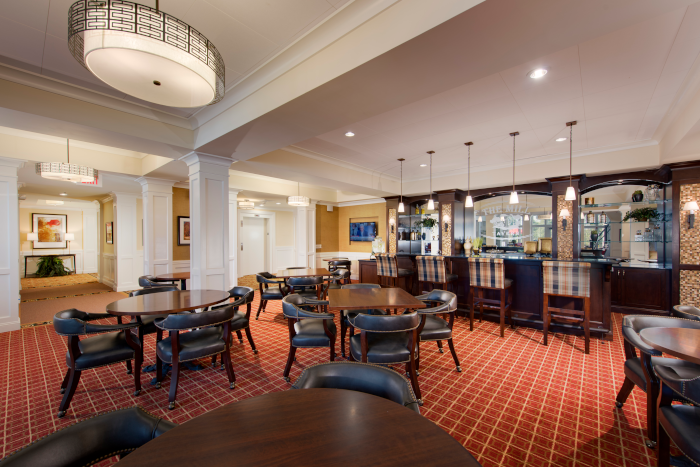 This is why every Brightview community has its own unique pub, on-site, exclusively for the use of residents and their guests. 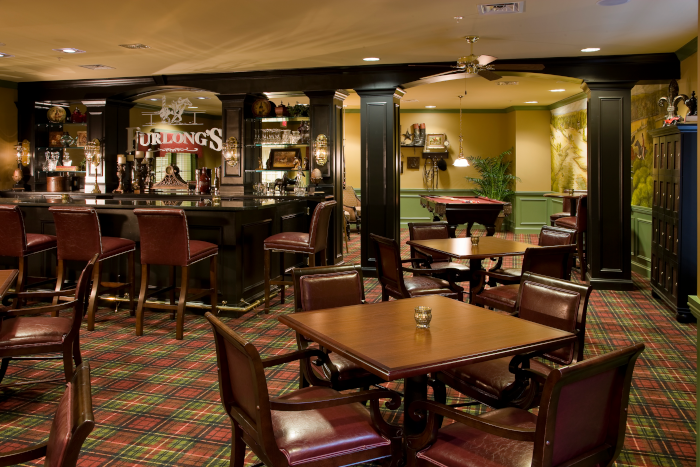 Our pubs provide an important level of independence to our residents. They're able to come enjoy a relaxing beverage at their leisure during happy hour and only a short way from their own apartment. 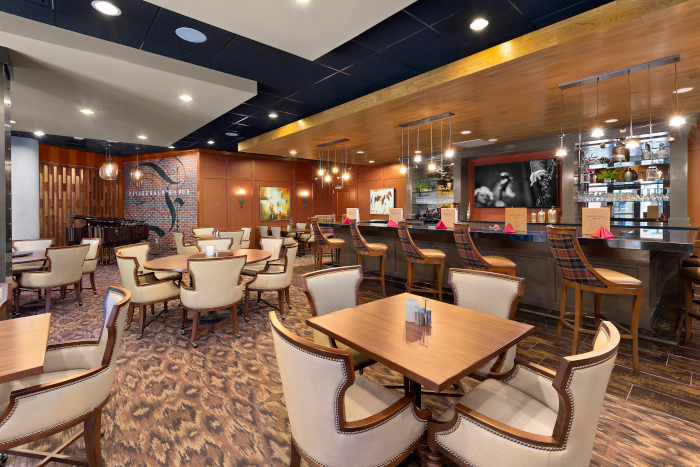 Residents are always welcome to choose to go and visit a favorite bar or restaurant they may have in the area, but it is a special benefit to be able to grab a beverage with friends right down the hall. Residents in our communities are able to retain their own personal beverage lockers as well. They can store that special vintage wine they've been looking for an occasion to open with family or the nice bottle of scotch they got as a gift all within a personal locked cabinet. 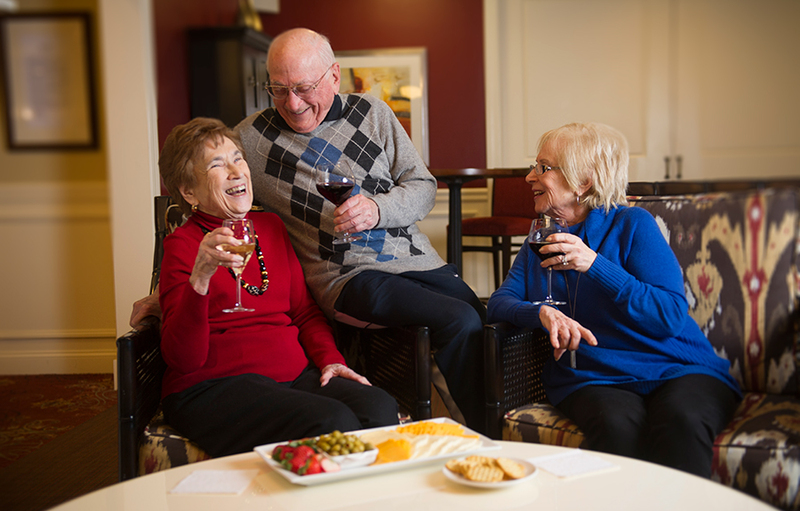 Each pub, like each Brightview Senior Living community, is entirely unique and apportioned to custom specifications. 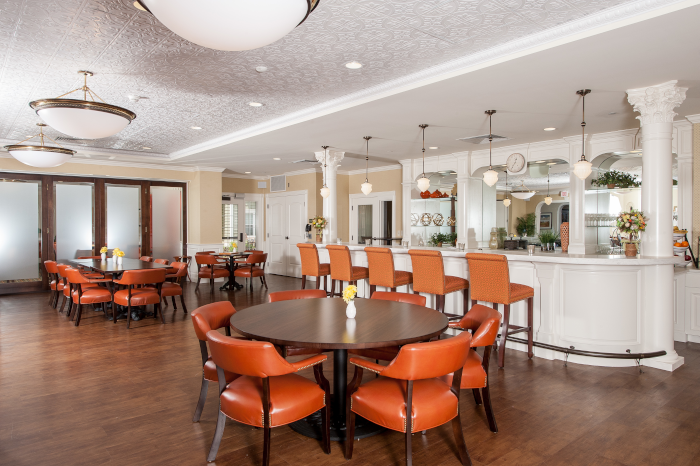 As you can see we put an immense amount of pride into the design and décor at each and every Brightview Senior Living community and their pubs. 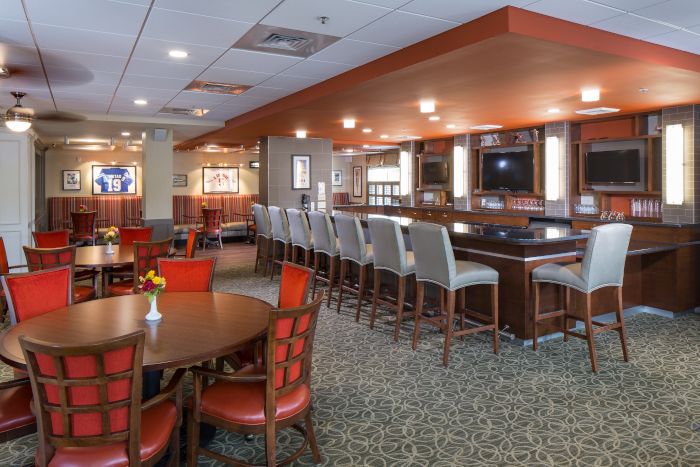 From sports themes to speakeasies, our pubs provide a wide range of choice that truly makes each of our senior living communities part of a larger community. Are you looking to catch up with friends over a glass of beer, wine or a cocktail? 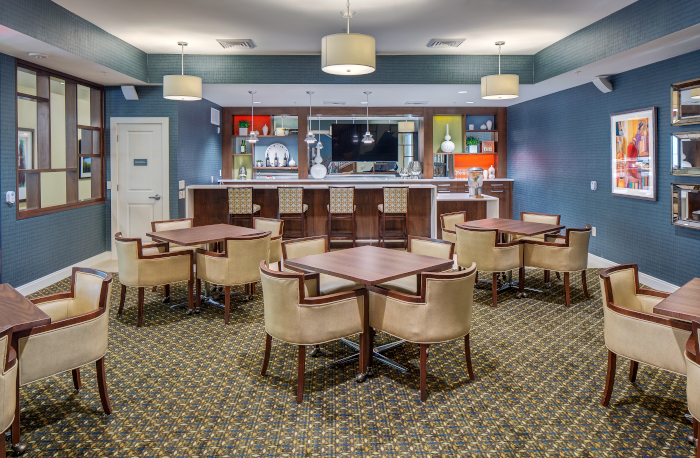 Our Brightview pubs at every community offer a great way to socialize and enjoy a favorite beverage before dinner.